Your digital marketing campaigns are driven by SEO and social media, and it may be a tough decision whether you’ll spend more time on one or the other — but it is increasingly becoming the case that these two elements of digital marketing may be even more effective if implemented together and correctly. 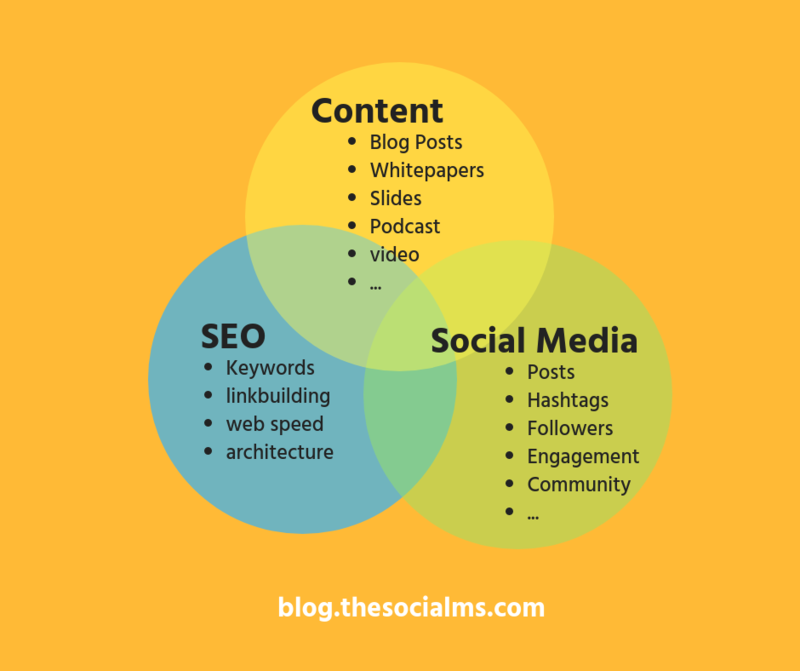 You know that hashtags can bolster your social media posts, and you may also know that keywords are vital to your SEO efforts — the next logical step would be to use the two together for a well rounded digital marketing campaign. Be careful, however, as hashtags can be misused and improper keyword research can make your hard work almost useless. Read below to understand how hashtags and keywords can be used to boost your digital marketing presence while at the same time bolster your SEO efforts. To understand how you can implement both for a successful digital media marketing campaign, you must first understand the differences between hashtags and keywords. Both can be used, on their respective platforms, to drive organic traffic to a company website or social media page. Where they differ is in the particular ways you will use them, the different channels you will use them on, and time spans of their effectiveness. Essentially, hashtags are just keywords with a number-, or “pound-” sign (#) in front of them, such as #SocialMs. Now, hashtags won’t be very useful in traditional SEO efforts, but they will be extremely beneficial for social SEO and boosting your social media presence. Understanding how to optimize your Tweets and other social media posts will yield better results. The hashtags you choose to implement at the end of your social media posts will associate your post with other trends, conversations, and content with the same hashtags. Overall, hashtags are a way of labeling your content so that it is presented with posts containing related content. When people search for a particular hashtag, your content will be seen along with it. Along with #SocialMs, you might want to include general hashtags – such as #SocialMedia, #ContentMarketing, and other things related to your business. 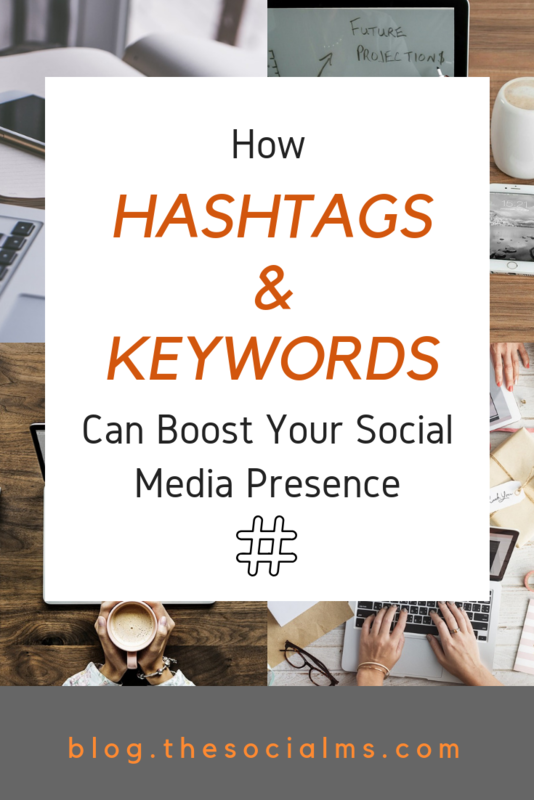 Whereas hashtags can boost your social media presence immediately, keywords will increase your SEO efforts, yet more gradually. However, keywords and SEO should not be put on the back burner. If you post a piece of content on your website, such as a blog post, it can take weeks for a search engine such as Google to index and rank your content and its keywords on the SERPS (search engine results pages.) However, where social media followers will read your content and ideally move on to find other new and exciting posts, Google will bring it up whenever any similar words are searched — bringing your website more traffic. SEO is very valuable to your digital marketing efforts and will be well worth your time. After all, how else are you going to get your company website and content to pop up when people search for related terms in Google? It is important to note that you can overuse hashtags and keywords. It can be much more effective to use 1-2 quality hashtags as opposed to trying to cast a wide net and using many. Similarly, using too many keywords — also known as keyword stuffing — is not a best practice, and can cost you your ranking in the SERPS. Instead, just write what would be most informative to your readers naturally, providing the user experience that Google takes into account when ranking web pages. Although keywords and hashtags are related, it is important to know that they differ regarding what platforms they are used on, and the immediacy in which they will be useful. When looking to boost your social media presence, try using both for an extremely effective digital marketing campaign — getting you noticed both on social media and in the SERPS. In compiling hashtags around #SocialMs — #SocialMedia and #ContentMarketing — you should start building a seed list for keyword research by researching terms used by your audience — as recommended by Andrew Dennis, a content marketing specialist at Page One Power. One of the ways to start finding your base keywords is by analyzing social media posts and groups to understand the language and terminology of your audience. In this way, an examination of trending hashtags can help you start a strong keyword seed list to include in your content, or even include as topics for successful blog posts and articles. 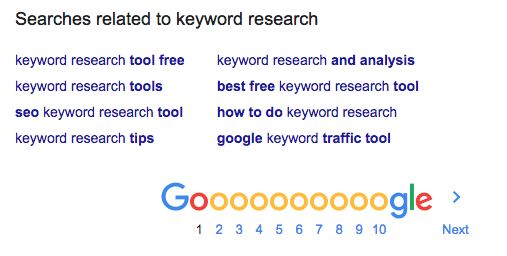 Keyword tools such as Moz and SEMrush can help you expand significantly on your keyword research. These tools reveal what searchers are looking for on the web, and your keyword research for website content and SEO can illuminate useful hashtags to use in your social media posts. Searchers of the web are commonly interested in the same thing they look for on social media channels. Just put a # in front of your newly researched keywords for a hashtag that will bring your content up when the same is searched in a social media platform. In the same way, understanding trending hashtags can reveal keywords to create topics for blog posts, as well as revising them to keep your content up-to-date. For instance, when you type “social media” into SEMrush, one of the most searched phrases including the keywords social media is “social media marketing.” For your SEO purposes, you can create a blog post about social media marketing. However, as described above, it will take a while for Google to index your web page. What you can do now is make a social media post revolving around your new blog article with #socialmediamarketing included at the end of your social media post. Social media will now instantly include your social media post alluding to your new blog piece, including it when people search for #socialmedia and #socialmediamarketing on social media channels. In this way, we can see how hashtags and keywords compliment one another for social media awareness as well as SEO efforts. Additionally, keyword research will help you pinpoint the most effective hashtags to use if you analyze search volume to find trends and conversations. Not only can this assist you in finding relevant topics for your posts, but it also helps in minimizing the contemplation of which hashtags to use as well as leaving less chance to overuse. But this is not the only way in which hashtags in keywords complement each other. Let’s say for example that you wrote a terrific, keyword rich blog post. As Google won’t index the web page immediately, your social media post — with the proper hashtags — can make your blog post an immediate success. Then, after a couple of weeks when things on social media have cooled off, and your post has been shared through social media channels, anyone looking for that post — or anything related — can find it quickly with a simple Google search since Google has had time to index your content. In this way, using hashtags and keywords will double your exposure and success of any piece of material. 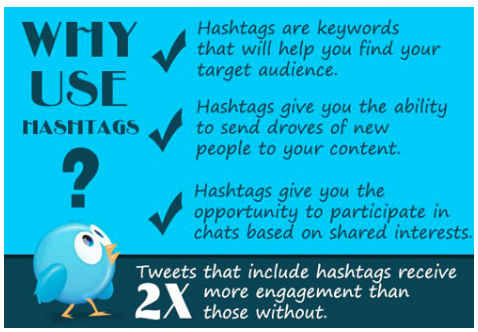 There are many similarities and differences between hashtags and keywords. With the information above, you can use these similarities and differences to your advantage. SEO and social media are critical for any digital marketing campaign to keep up with the trends and conversations, and understanding how they operate is key to today’s digital marketing. Knowing when and where to use hashtags and keywords, as well as how to research for both will not only save you time, it will significantly boost your SEO and social media presence. Not one book but six (!) 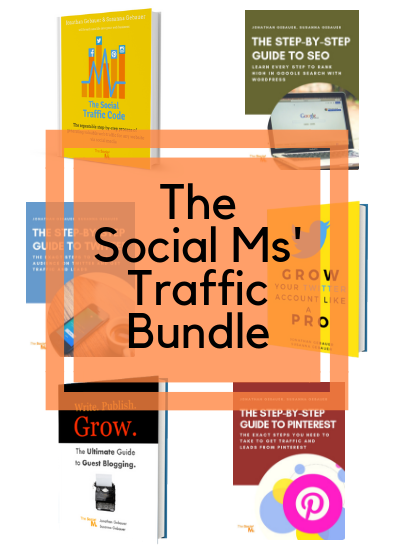 books on getting traffic from Twitter, SEO, Pinterest, Social Media, Guest Blogging and more. Get it today!